Lynn Barber’s memoir is a quick read – I read it in an afternoon. I’ll admit, the only reason I bought this was because I had heard good things about the movie, but Barber’s voice makes it a must. She is succinct, but knows when to dab an extra bit of description. 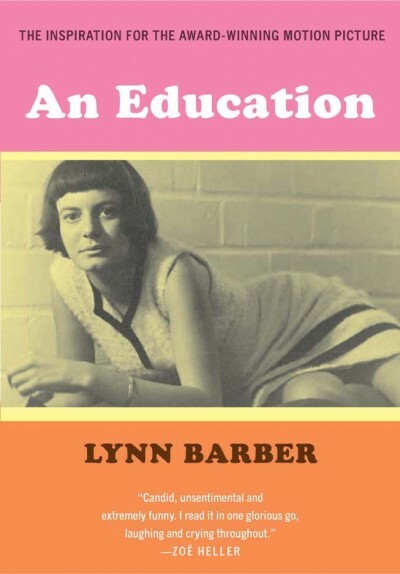 The movie, “An Education,” is based on an article published in “Granta,” which Barber later expanded into the book. Her memoir starts with her earliest memories and continues into 2009. She has led a fascinating life. Barber worked for “Penthouse” and published the revolutionary book “How to Improve Your Man in Bed.” She also worked for “Vanity Fair” and wrote “The Heyday of Natural History” chronicling how Darwinism affected Victorian natural history books. Barber is a dryly witty Scheherazade, an incredibly versatile new journalist and all this young writer could ever hope to be. Gay Talese step aside, this writing major has a new idol. I’m having a serious store-crush on FluffyCo. They’re a San Fran clothing and home company. FluffyCo is an environmentally friendly business based in sustainable, local supplies. And, their stuff freaking rocks. I mean, really, a bear with balloons? How cute is that!